This is a collaboration post with Aviva. Most of us are aware of the gender pay gap, the average gap between how much men get paid vs how much women get paid for doing the same job (it also highlights the disparity between the number of men in higher paid positions vs women). In the UK, all sectors and industries have a pay gap that favours men – that is, there is no sector that pays women more than men. I’m not sure whether that’s maddening, saddening or both. But it gets worse – what about the gender savings gap? This little reported issue is one facing women just like you and me up and down the country and refers to pensions, savings and investments. Why is there a gender savings gap? In a world where equality is still far from perfect, it’s little wonder that so many women have fewer savings than their male counterparts. Leading UK life and pensions provider, insurance company Aviva, say this is down to various gender-based factors. Given that women earn on average 9% less than their male peers, this naturally makes it harder to find spare cash to put away. After all, outgoings including rent, mortgage payments, phone bills, utility bills, gym subscriptions and food shopping cost the same whether you’re male or female! If the outgoings are the same, and the money coming in is 9% less for me than my partner, then that’s 9% less money I can save. Also, the fact that I’m statistically likely to outlive my partner, it hardly seems fair that he’s more likely to have more money, just because he was born male. Women are also more likely to take career breaks, or work part time, to look after not only children, but elderly or sick relatives too. Another ‘gender role’ is looking after the finances in the first place, which is traditionally seen as a male role. If women find themselves single, widowed, separated or divorced from their male partners, they’re more likely to be even less financially secure in retirement. The majority of separated women only have the state pension to rely on, with no private pension at all. 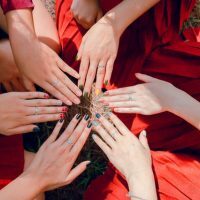 The idea that spending, saving and investment is the man’s domain has meant that too many women are intimidated by taking control of their finances. By the age of 65, this all means that the average woman has £35,700 in her pension pot, just a fifth of what the average 65 year old man will have. So I want to help empower women to close this savings gap and I’m fully in support of the Aviva #Planuary campaign. This brilliant campaign encourages women to pledge to make one change when it comes to their personal finances. If you’re working, increase the amount you contribute to your pension each month. Think of a pension as a long term goal, and you’ll realise that just a little extra will go a long way. If you’re taking time away from work to look after your children, make sure you register for National Insurance credits to protect your future state pension. Find old pensions from previous employment that might be frozen, so that you know where they are, what they’re worth and how to access them. No matter how small your savings, have a savings account in your own name, even if you have a long term partner. Learn how to invest, and start investing to help protect yourself from inflation and tax. You can begin with as little as £1 and if you’re unsure, set up a fund that manages your investment for you. If you feel you have a case for a pay rise at work, build your case and put it forward to your manager. If you’re getting divorced, make sure your pension is considered in your settlement, to avoid losing out in years to come. 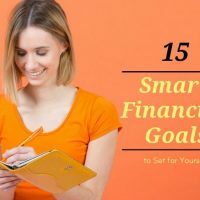 You can also empower yourself by taking time out to think about your finances, and reading up on women who are positive role models when it comes to saving and investing. Talk to friends and family members, find out what they’re doing and pledge to make changes together. Make a point of seeking out female loved ones or peers who are good with money so that you can learn from, and be inspired by, the best! One way I plan to improve my finances this year, is to invest in more ethical and sustainable companies. Ethical investing is also known as sustainable investing or socially responsible investing. It allows me to invest in companies that bring positive outcomes for people and society as well as financial returns for me. To me, investing ethically not only means a more secure financial future, but it means I can support and invest in companies that align with my ethics and core values. I’m going to look to invest in companies that support causes that I’m passionate about. These are areas such as renewable energy sources, other environmental issues and companies that back schemes that help empower women and girls. Doing so means that I have a more positive impact on society, local communities and the environment. It makes me feel both empowered, and like I’m making a difference to the lives of people around the planet. Ethical investing on a financial level is no different to investing anywhere else. As online investment service Wealthify explain, I can “do my bit for the future, and give my money a chance to grow. 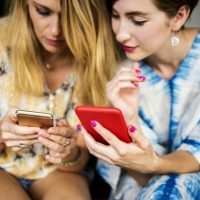 According to (far from boring) financial advice website Boring Money, female investors like me are far more likely to seek social rewards as well as financial rewards. They found that 25% of men say that ethics are an important factor in choosing where to invest, compared to 33% of women. Aviva think that this is just the beginning of a new trust in sustainable businesses as the future of investing, and that women are at the forefront. And I couldn’t agree more! There’s so much jargon when it comes to finances, savings, pensions and especially investments. But equally, now there’s so much support available to help women confused or fearful of what’s always been ‘done by the men’. There’s no reason why you can’t invest to make more and increase your wealth. You can save your money in a bank, but they often have lower rates of interest. Although, there’s no such thing as a guarantee when it comes to investment, you’ll see a much higher rate of return by investing in stocks, shares and bonds. The key to investing is getting the balance right. I hear of so many women who say that investing is much simpler than they thought. Once they’d got past feeling intimidated, found a balance between risk and return, they realised that it’s a world where they too can be powerful and grow their money overtime. What pledge will you make to improve your finances this year and close the gender savings gap? Whether it’s an ethical investment or not, I wish you every success. 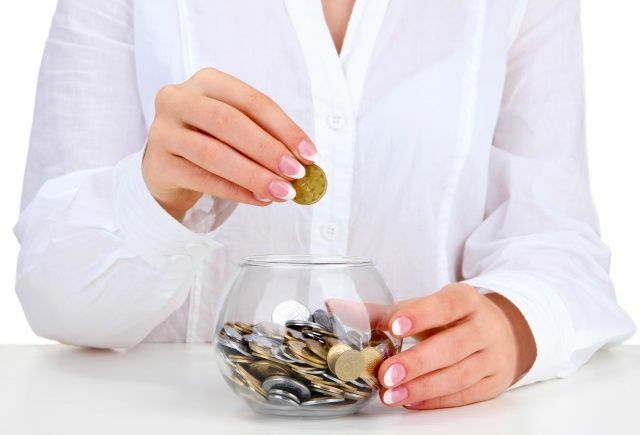 Money is the power we need to cut the gender savings gap, good luck for the sake of womankind!